Dr. Haroonian made the Dean\'s Honor List during graduate school at USC. Dr. Haroonian continued his close association with the USC as an active member of the faculty. Dr. Haroonian opens new possibilites in both general and cosmetic dentistry in the city of Newport Beach and surrounding communities. He is a graduate from the University of Southern California (USC). 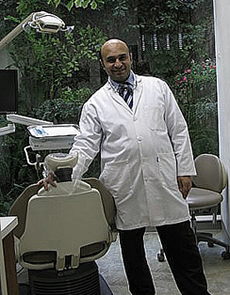 With over 15 years of dental experience, Dr. Haroonian is the right dentist for most dental procedures you may need in Newport Beach, California.